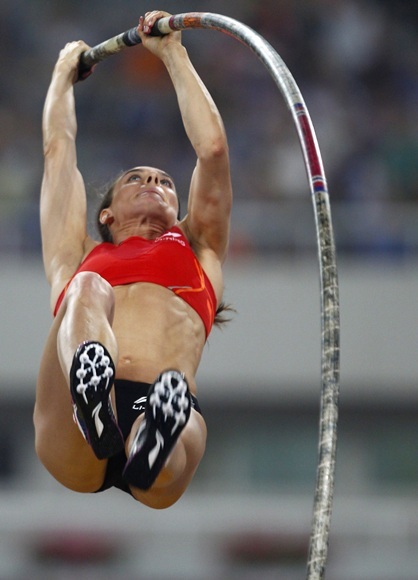 All round the year the sportspersons have enthralled their fans with their sheer determination to excel, their athleticism and other gravity-defying moves. Rediff.com presents the best photographs of year from the world of sports. From Duchess Catherine’s sporty girl image to gravity-defying moves by athletes, Rediff.com has it all and more snapped, right here! 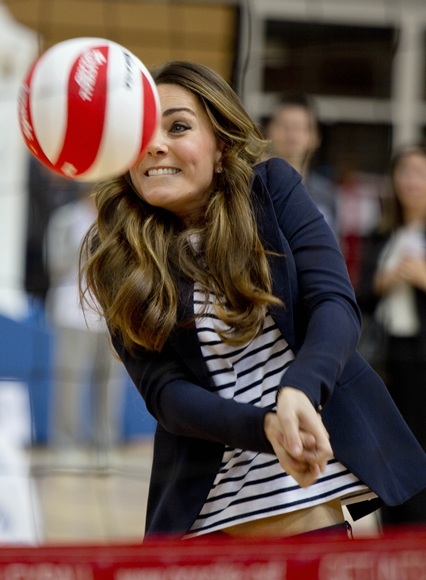 Duchess of Cambridge, Catherine once played field hockey in high-heeled boots and she was back at a volleyball court in platform wedges to try her hand at volleyball. Isabella Tobias and Deividas Stagniunas of Lithuania skate their free dance program at Skate America 2013 in Detroit, Michigan. 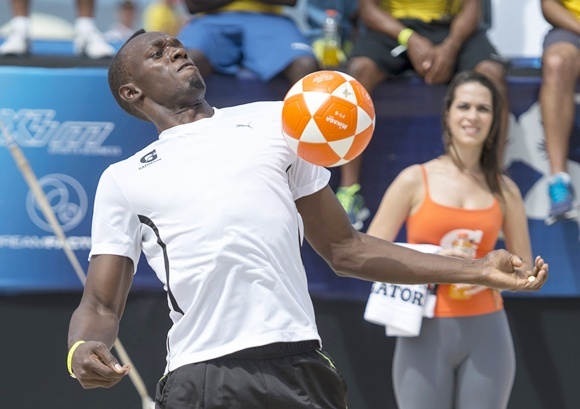 Jamaican sprint king Usain Bolt, who has already conquered the racing track with six Olympic gold medals, may switch to cricket or football after the 2016 Games in Rio de Janerio. He may have won eight World Championships by becoming the fastest man on earth but the legendary Bolt as a child dreamt of becoming a Test cricket sensation. 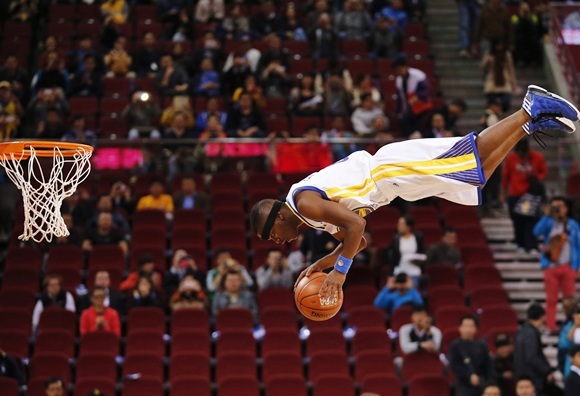 A member of the Flying Dubs, an acrobatic dunk team of the Golden State Warriors, performs before their NBA Global Game against the Los Angeles Lakers in Beijing. World pole vault champion Yelena Isinbayeva was named Russia's Athlete of the Year in a nationwide poll conducted by sports journalists. Isinbayeva's gold medal was for many Russians the highlight of the August 10-18 world athletics championships in Moscow. The International Olympic Committee will consider taking action against Isinbayeva, a Youth Olympics ambassador, after her comments in favour of Russia's new gay law triggered a major controversy. England captain Alastair Cook believes the fourth Ashes Test starting in Melbourne on Thursday is the perfect stage for his battered side to salvage some pride and work towards ending what has been a miserable series on a high. 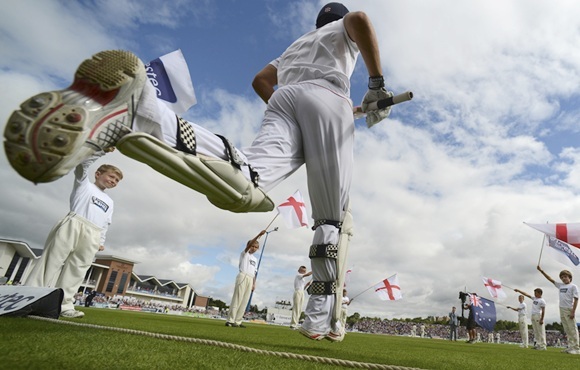 Cook's men arrived as favourites to retain the Ashes with a fourth successive series win over hosts Australia but have already relinquished the urn. Madison Chock (left) and Evan Bates of the United States perform during the Gala exhibition at the ISU Grand Prix of Figure Skating Rostelecom Cup in Moscow. 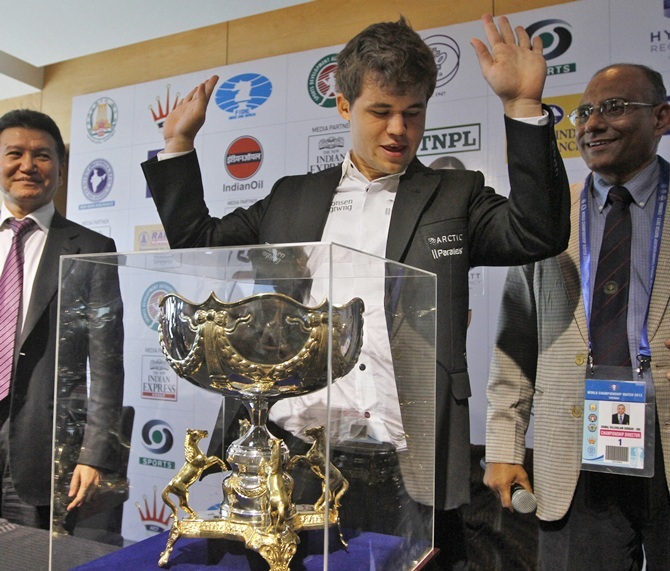 Newly-crowned World chess Champion Magnus Carlsen took home prize-money of Rs 9.90 crore after he beat India's Viswanathan Anand 6.5-3.5 in a keenly-watched contest that spanned over 10 days in Chennai. Five-time World chess champion Viswanathan Anand described the year, which saw him surrender the World crown to Carlsen, as a "horrible" one, but said he will stay positive without getting bogged down thinking about the debacle.